Have read some good reviews about this restaurant, so finally decided to visit since it was DineLA few weeks ago. 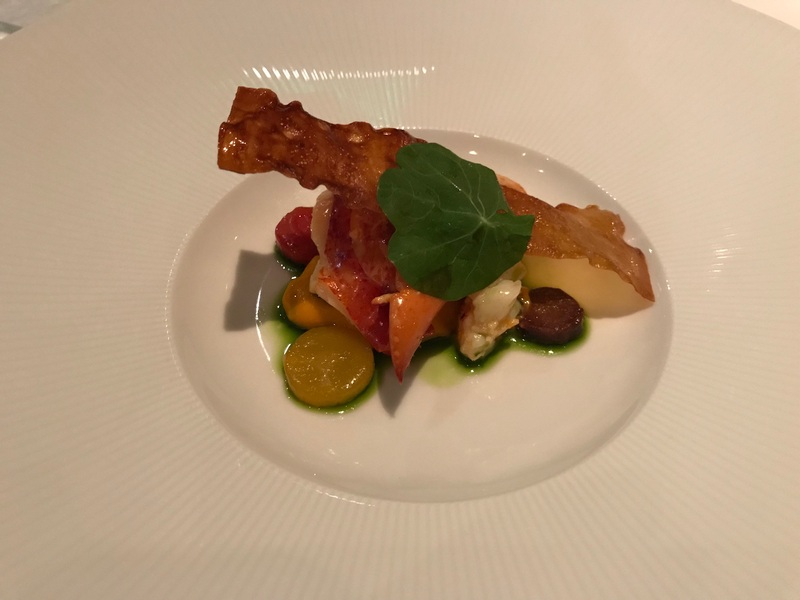 The five courses that the menu offered seemed enticing enough, especially the course with the maine lobster. We chose Sunday for the dinner because of the lighter traffic to downtown, and partly because I was determined to find street parking there. I did circled around a few times before landing one of best spot about 1/2 block from the Walt Disney Concert Hall. Was early, got seated at a table near the window. The decor is very simple and casual. I asked for some bread and an elder gentleman came with a tray of about 5 different types of bread. The brioche bread tasted decent even though they were not warm. 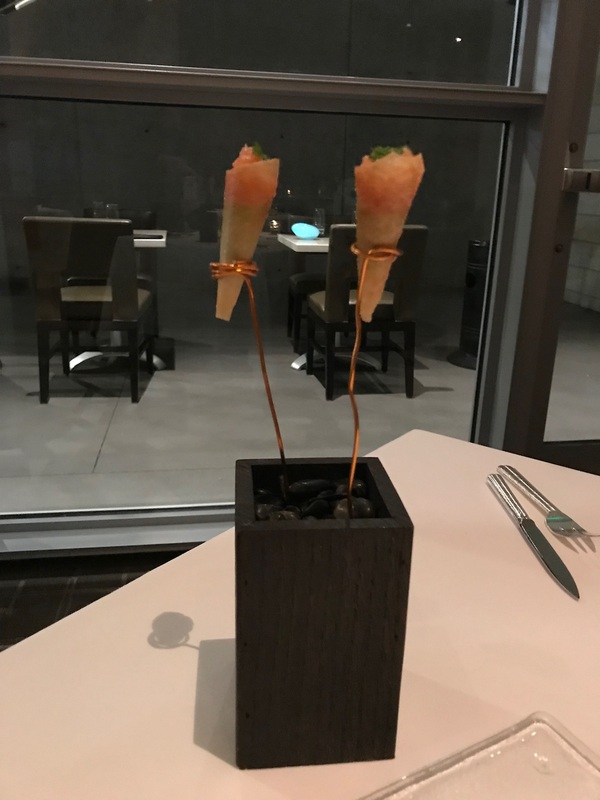 The amuse bouche was an artistically presented smoked salmon cone, very light and tasty. 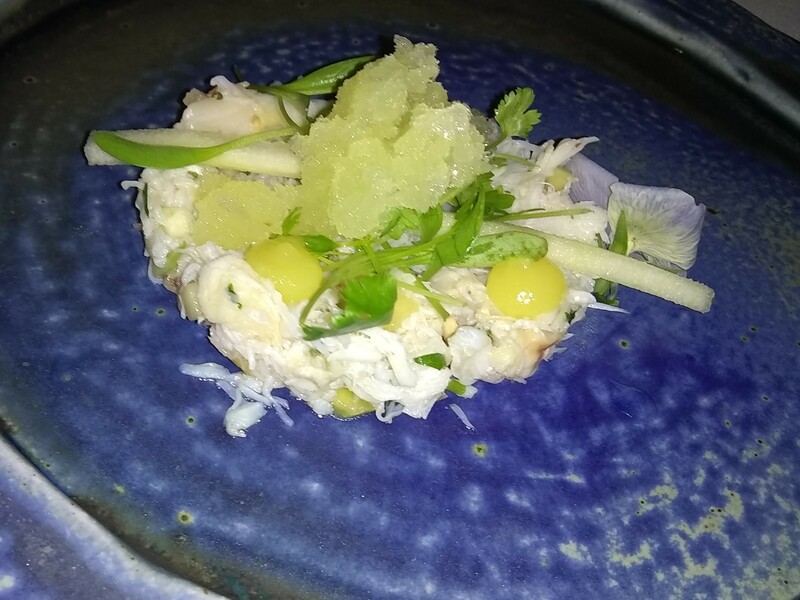 The first of 5 courses was a Dungeness crab, delicious. Followed by Hamachi, scallop, octopus crudo which were all extremely fresh and had just the right flavor. Then came a pasta course which was not on the menu, probably one of the best I’ve had. 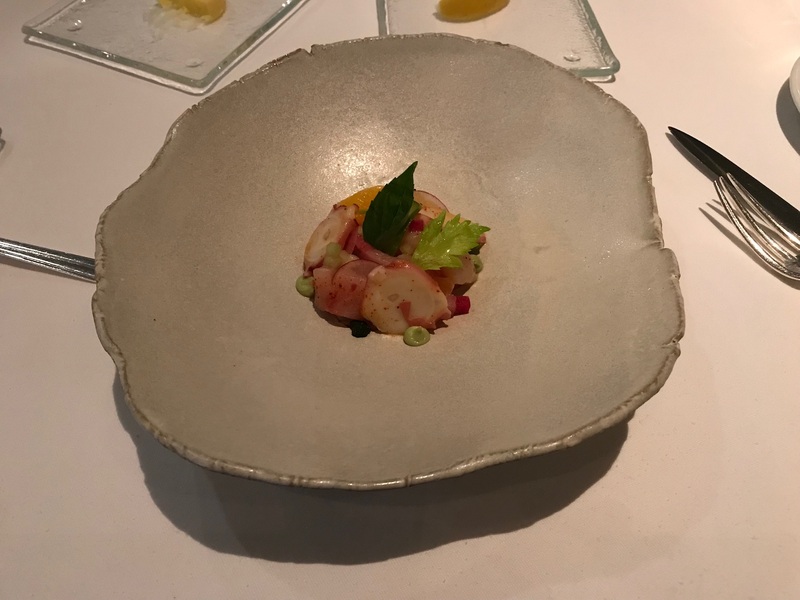 The maine lobster was delightfull. 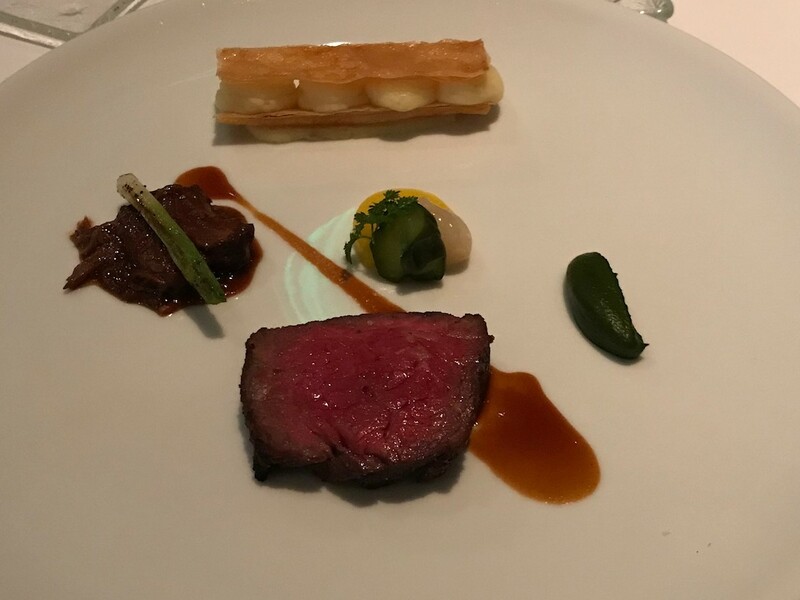 Finally the Wagyu beef, oxtail, potato were all excellently prepared. The oxtail was tender, the beef was just the right size for me, even though some might feel that it was a tad small. The potato looked more like a dessert than a side of potato. The dessert was an “Ivory Chocolate” with persimmon. 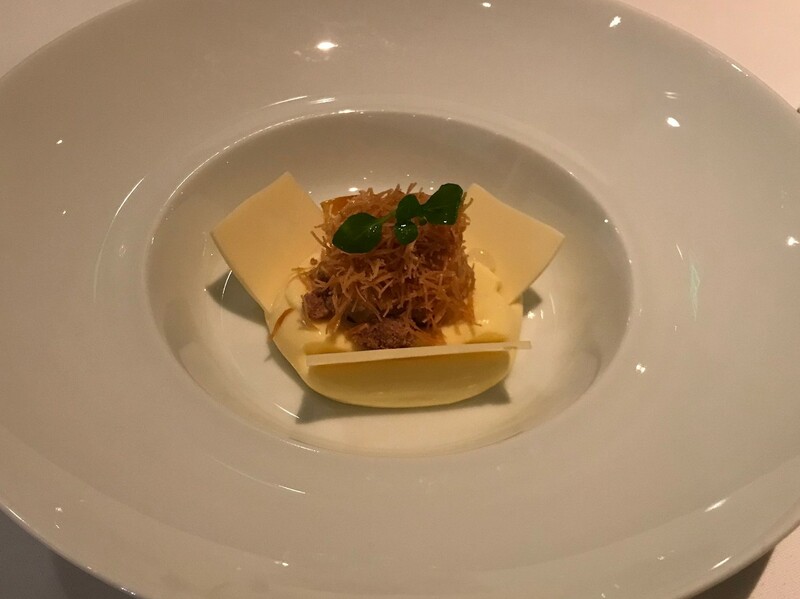 Again, presentation was exquisite, but because I personally prefer dark chocolate, I found the white chocolate to be bit too sweet. 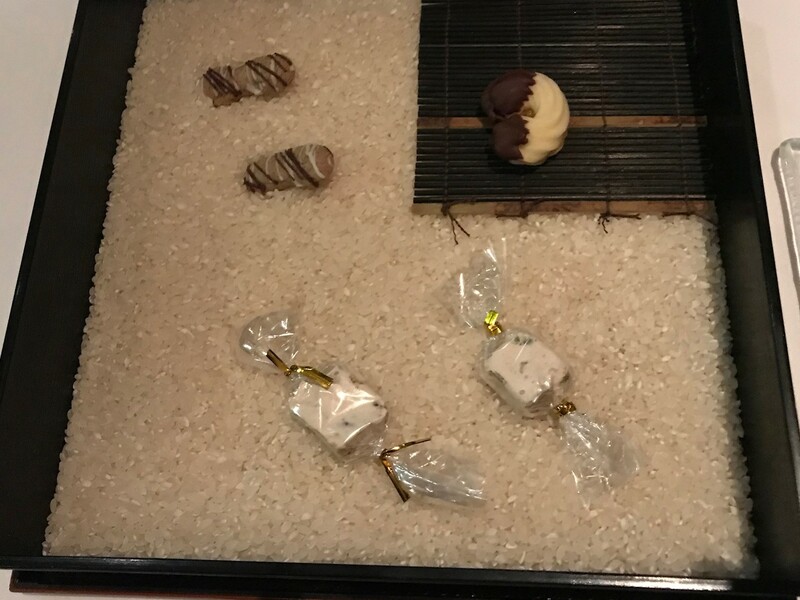 A tray with some candies came with the bill, however, I found that the candy had the taste of the raw rice since they were sitting on a bed of rice.